James Little is known as one of the best Navajo jewelers today. 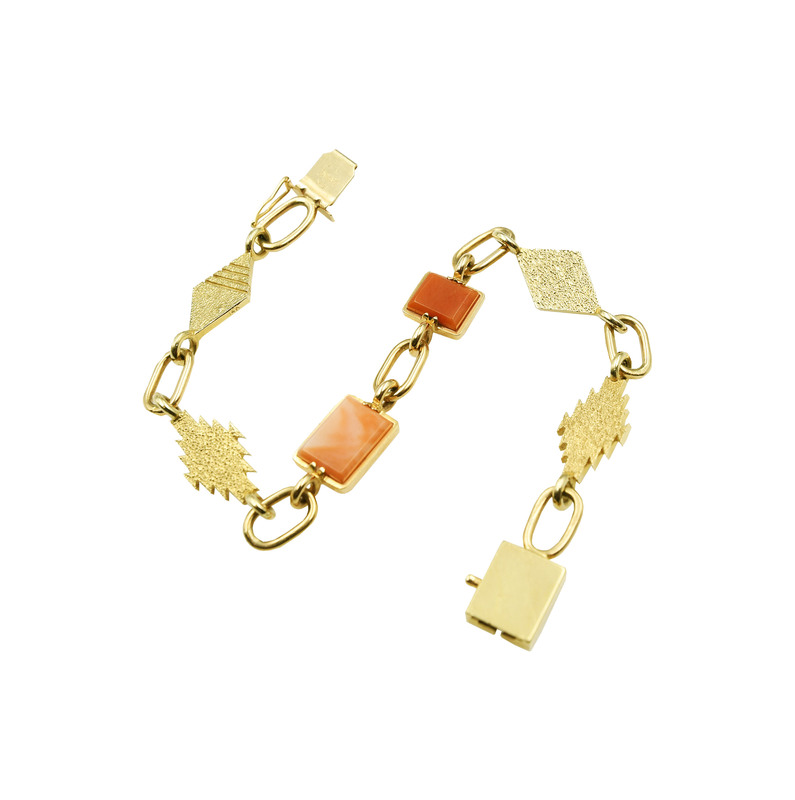 James designed this link bracelet in 14k gold with the rug pattern in tufa cast. He added four coral stones to either side of the bracelet. ?